One of the worst feelings in the world is being scammed and having something taken. The moment you realize that you’ve been part of a trick and someone profited on your own “stupidity”, it’s not easy to swallow. Only few people will say: “Oh, well… Yes, I’ve made a mistake. It’s ok. I’ll be better next time.” It’s completely logical to be angry. The world of binary options and scams are inseparably related. In fact, every in business dealing with money, there are people who want to deceive or fool you. 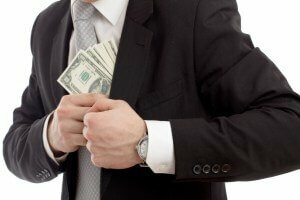 Generally – where the money is, there are crooks and if there aren’t, you can be well sure they’ll show up soon. Crooks will always try to find a way to take money away from people who unfortunately fall for it. The cheated people however are not always foolish. A saying “A fool and his money are soon parted” is only half-true. The chances of an intelligent man being cheated is practically same as with the not-so intelligent one. Every time before you do anything, check everything thoroughly and carefully. Brokers receive a lot of unfair complains and the reason is that no one reads the terms and conditions before registration. Honestly, who has ever read the terms and conditions for withdrawing bonus money and terms and conditions when singing up? I think the absolutely minority of you and if anyone really did, they are one of the very few. Do you know that most of the brokers have it written in the terms and conditions that they can take your account down any time? The only thing you could do is to write to a friend and complain about it. Although, you are always entitled to all your money on your account and no one can them away from you. That’s where regulatory services come into play. As the saying goes, life is not fair and you have to be ready for this kind of things. You have to know what you are singing in for when registering and what can happen. I’ll say it this way, would you lend money (I am not talking about giving someone $10 for lunch) without any written agreement and conditions? If yes, you should take some basic financial literacy classes. Withdrawing money from your traders account is often quite problematic. There are a lot of complains that spread in between the traders. Once again, the problem is the lack of understanding of the whole process. Only in very few cases traders really get their money taken away from them and if it happens, it’s usually with unreliable brokers. 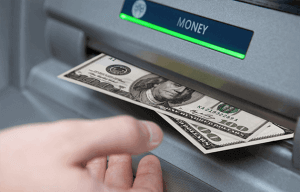 Depositing money into your account is easy, but if have any doubts, you can find a video instructions here, how to deposit money. Brokers accept a broad range of options to deposit money. Most of them are instantaneous and you’ll have your money with the broker straight away, on the contrary to the withdrawal. It takes several days and the number of methods to withdraw your money is a bit limited. The reason why it takes longer are not always related to the broker. Regulation requirements from regulation offices and time that banks need to process your request all add up to the time to withdraw your money. The process usually takes 3-5 days and it also depends whether the broker operates on weekends or not. You have to have your documents verified before making a withdrawal. Some brokers require it in the beginning of the registration process (i.e. : HighLow), others at the time of the withdrawal. For example, with the broker StockPair you need to verify your documents before withdrawal. Don’t be afraid that they want to steal your identity. The reason why you need to provide these documents is simple – brokers only try to avoid possible threats and they are urged to do so on behalf of the regulation authorities. All you need is a passport, driving license or an ID and then your bank statement or electricity bill. The same problem, again and again… Most people think how generous the broker is, giving away free money when registering. Who wouldn’t like to have $1000 instead of $500. This is where the problems begin. Bonus doesn’t have to be what you really want. When you accept the bonus from the broker, you have to, (usually) trade 35 times the volume of the bonus before you can withdraw your money. 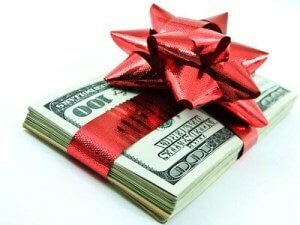 How do bonuses really work can be found in the following article Pros and cons of bonuses. It’s not a fraud, just a condition that you get to know when registering for your account. Have you read these conditions before accepting the bonus, right? I’ll answer for you: “No.” Always, before accepting any bonus, read it’s terms and conditions and if you don’t understand them or don’t want the bonus after all, just write to the costumer support. Bonus might be sometimes added automatically, which shouldn’t happen, so always write to the customer support, so they can take it away before you start trading. Binary options are simply said cool and that’s why binary options’ frauds are growing quite fast. There are Optionavigator, profitonline, BinaryBotPro and many others. We try to inform you about them quite often, so you know when to be more careful. Frauds are always the same. They promise you high profit in a short time, but they are not always recognizable at a first glance. The website might look like some sort of a financial magazine, a professional trading platform or automatic trading system that guarantees an income without any work. However, I think that binary options traders are so often warned against these fraud that only a few get fooled. Those who do, much probably don’t know anything about binary options after all. Unfortunately. There is only one way to never get fooled; to stay informed! It’s very important to read and educate yourself. If you’ll know what to watch out for, I am sure you certainly will.